Friendly staffs relentlessly catering to our needs. Portrays professionalism in explaining all details to us even without us enquiring much. Reasonable and competitive package pricing to what we had compared before we made the right decision. Extremely satisfied with the overall photoshoot. Excellent service for make up artist and photographer! They are very friendlying and helpful. 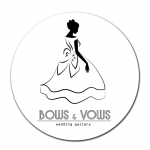 Patient customer service at vivi bride from gowns fitting to choosing of photos. Sales personal is understanding n is able to meet our demands. Such a satisfaction photo shoot and make-up skill when I saw my pre-wedding photo yesterday as why I choose VIVI Bride 薇薇新娘 (JB KSL Mall) to shoot for the important moment in my life when I 1st saw the sample photo show in FB from that time I was know this was my choice,really live up to the expectations.Like it! My hubby and I would like to thank Vivi Bridal for their kind service since the day we sign our package with them. And we really like the pre photo shoot that was taken by Simon and make up by San Yi. They are very professional and the photos turns out really nice! !Thank you Vivi Bridal! 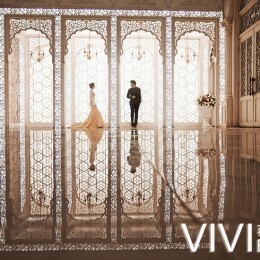 First of all, We would like to thanks all VIVI Bride staff for their excellent customer service and professional skills to make my wedding photo shooting success. My husband n me really very satisfied and happy for their servise. Really appreciated. Especially my makeup artist Mr. San Yi and photographer( all the way from KL VIVI ) Mr. Plus Choo. I like the makeup and hairdo which done by Mr. San Yi. I love it so much. Thanks once again. He was really a professional and very senior skillfull makeup artist. My photographer also very nice and skillfull to try his best to shoot every single photo in good effect and feel into it. Besides that,salute to the lady which done the alteration for my wedding gown. Her alter skill was really awesome. Overall experience was great and looking forward to view all my photo output in next two week. Initially I had my doubts. But after the whole thing was over, I want to thank Vivi Bridal JB for such a wonderful experience. My husband and I are beyond satisfied! 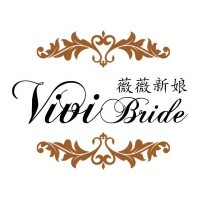 Xiao Cher from KSL Vivi Bridal JB, has been really patient with us, we had lots of changes in between and she did her best to cater to our needs. Mr San Yi, the MUA, is really really good! The hairdos and the make up were fantastic, I loved every bit! Couldn't bear to wash it off after I reach home. Mr Wu, the photographer is really good too! We had a hard time selecting our pictures. And the 2 xiao mei who helped me with my gown selection, thank you too! Overall, we had a fantastic experience. I am quite a fussy customer, and they were really really patient with me and I appreciate it! Thank you so much!